Some of you who run small businesses may be trying to get that last bit of mileage out of that beige-coloured “white-box” computer that is running as a file server. Typically the old computer may be running Windows XP Professional as its operating system which is approaching end-of-life and you may find that many components, especially the mechanical ones, are starting to wear down. Today’s small-business desktop NAS units are about the size of half a loaf of bread for small units or the size of a large toaster or a toaster-oven for the larger units, and are built from the ground up to work as data servers for a small workload. They are even engineered to be able to run reliably for a long time without issues concerning overheating or vibration. As well, most of today’s small-business NAS units are even optimised to run the fans and hard disks on an as-needed basis to allow for quiet operation and reduced energy needs. 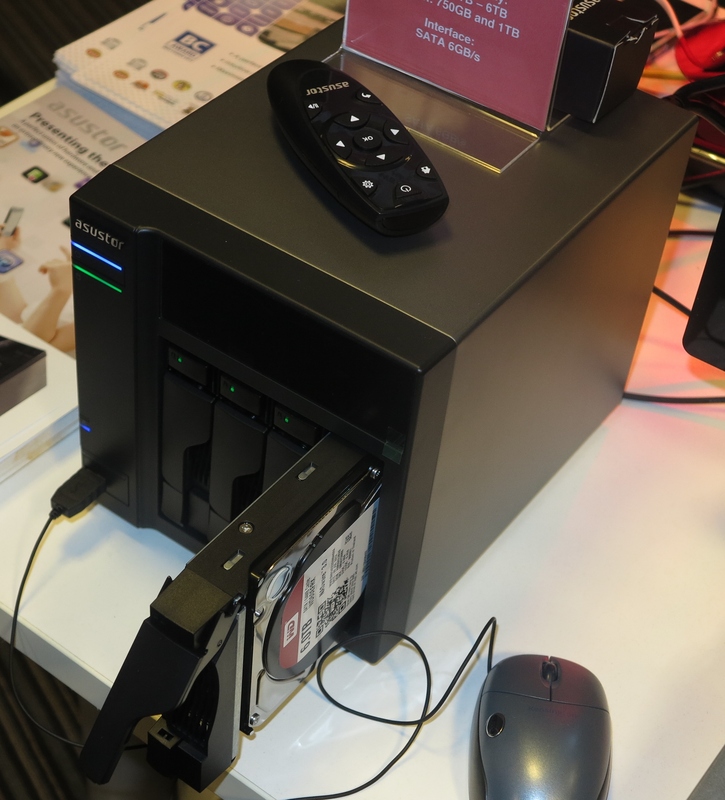 Although the news article focuses on Synology equipment, it can hold true of similar devices offered by QNAP, WD, Seagate, NETGEAR ReadyNAS, ASUSTor and the like. Most of these are increasingly running multipurpose operating environments that the manufacturers build on Linux or, in some cases, licensing Windows Server 2012 Essentials Edition from Microsoft. As well, they have a lot of the essential server applications like database servers, Web servers and the like that you can install from the vendor along with the essential file servers and can even work with Microsoft ActiveDirectory setups. This can make for some small-business NAS systems that can be truly multifunctional like some properly set-up file servers. The advice about considering a NAS as an upgrade path for your small-business’s old “white-box” file-server computer may not apply to those of you who have a lot invested in this style of “regular-computer-based” server system, especially where an application server is concerned, and have kept it up to date with new hardware and software. 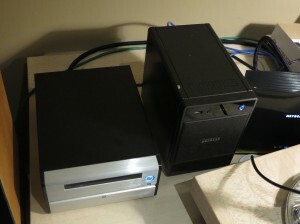 But it can be of use for those of us who are heading towards a more efficient computer setup for the small office..
An idea that has come to me for small businesses that have a handful of staff is the concept of a small server that isn’t too overpowered for their needs but allows them to “grow up”. 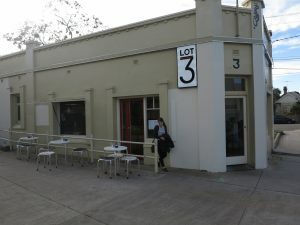 What I mean by that is that a small business that runs with a few regular desktop or laptop computers but without a server may not be seen by some as being a “grown-up” business as far as their IT needs are concerned. This may be due to absence of flexibility in these setups or not being able to cope with larger volumes of business due to the smaller size of these setups. Here I am reviewing the Western Digital Sentinel DS5100 NAS which is a four-disk NAS that runs on the Essentials version of the Windows Server 2012 operating system rather than a shoehorned version of Linux which most NAS units run on. This software is licensed and optimised for 25 users and 50 computers. The Sentinel DS6100 series comes with increased capacity and two power supplies which you can set up for increased power-supply redundancy and reliability. 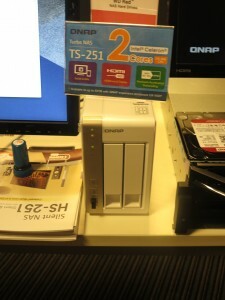 It also runs with two 2.5” boot drives rather than one boot drive also for increased reliability. This is a 4-disk NAS that runs with Intel Xeon E3-1220L horsepower but is in a cabinet half the size of a breadbox. It is well-built and hasn’t shown any symptoms of excessive vibration or noise, although the large fan does spin up hard during the initial boot-up phase. Even transferring data to a parity-arranged RAID setup where two or more disks would be spun up meant that the system was relatively quiet. This is because the power supply is a laptop-style “lump” that is outside the NAS’s case rather than physically integrated in the unit. 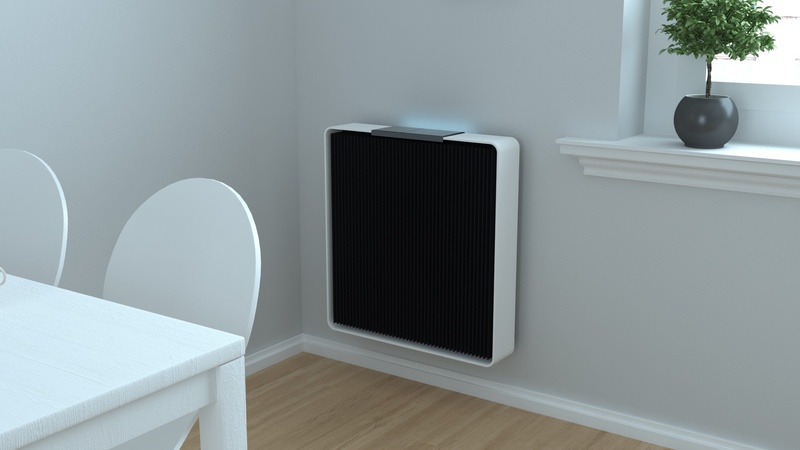 This allows for quieter operation and the smaller size that this unit has. The setup routine requires that you to use a dedicated keyboard, monitor with VGA connection and mouse as a “console” to get Windows Server 2012 Essentials going on the WD Sentinel. After that, you have to go to the “//servername/connect” URL to download connection software for your operating system so you can manage the WD Sentinel from your computer. The Windows Server 2012 R2 Essentials software can support up to 25 users on 50 machines initially out-of-the-box but there is the ability for the small business to upgrade to Windows Server 2012 Standard. The fact that this box runs on Windows Server means that it could run as a server for a variety of business-grade software applications such as being part of a “point-of-sale” system. The throughput was pretty good enough for most light-duty file-by-file work, being able to accept 220Gb over two hours. This could satisfy most small-business data requirements especially at the early stages. For a person who isn’t used to Windows Server, it may appear to be very daunting to do tasks like setting up the data volumes. WD could improve this with a wizard that simplifies and directs setup towards a RAID-5 setup. Similarly, the Windows Server Essentials misses out on the ability to run the Exchange Server and the main file / Web / application server function in one box which may put a limit on its use as the dream “business in a box” server. Microsoft could pitch a lightweight variant of Exchange Server for use on Windows Server Essentials setups in order to cater for on-premises setups with these “business-in-a-box” servers and could work towards simplifying Windows Server Essentials setup for the businesses who don’t have ready access to IT staff. As well, small business needs to be aware of line-of-business software that works with Windows Server Essentials in an easy-to-manage manner and can run on these servers. 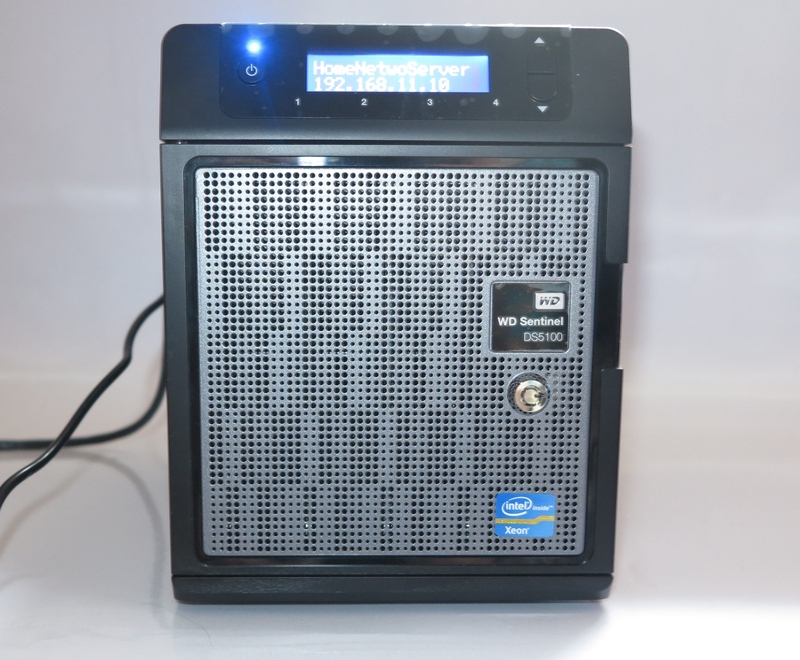 This class of server could be a chance for WD, Seagate and others, along with Microsoft to achieve the goal of the small “business-in-a-box” server that is highly capable. For example, more-powerful highly-compact “breadbox” servers could appear, with some being able to run from a vehicle’s or boat’s battery leading towards the goal of server-assisted big-time computing for businesses that work out of a vehicle or boat. 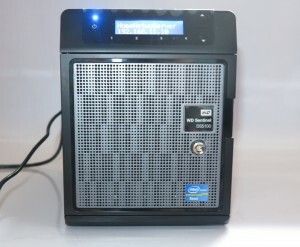 As well, a computer dealer could offer a “get-you-going” pack with one of these servers along with a UPS at a price that could please small business so they can have that “foot-in-the-door” with server-based computing. 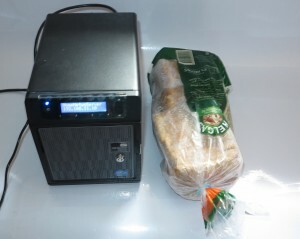 Personally, I would pitch the WD Sentinell DS5100 or DS6100 for one of many applications. 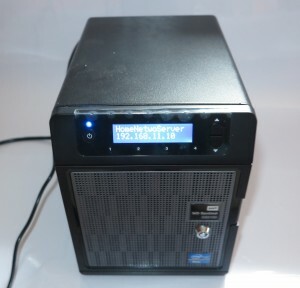 For example, a person who is teaching or learning Windows Server skills could use this box rather than a surplus desktop “tower” as part of this activity. 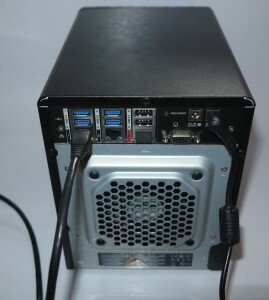 Similarly, this could be set up as an entry-level “business in a box” server for a small shop moving from the cash register or single-terminal POS setup to a more flexible setup. Similarly, this box, with Windows Server’s BranchCache feature could work well with small businesses who are running from a few different locations or want to establish a transportable location like the so-called “pop-up” branch. Here, it means that the unit could serve as a “local cache” server for these remote or transportable locations thus mitigating poor-quality or expensive Internet backlinks.